There are places in this world where you are destined to discover who you truly are. Here at the University of Alaska Fairbanks, as wisdom passes from one generation to the next, revolutionary ideas are thriving and a new academic culture is taking shape. Shape your education while using post 9/11 GI benefits. Smarter questions. Better answers. With undergraduates making up 89 percent of the total student body, including military and veterans- University of Alaska Fairbanks is a hotbed of diversity and fresh thinking. Whether you're returning to school to start a new phase of your life or coming in as a recent high school graduate, you'll quickly make new friends with a similar drive to achieve. 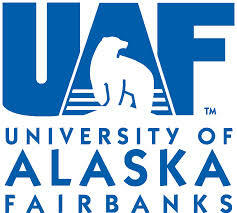 And, because our backyard is the vast environmental laboratory of Alaska, UAF attracts exceptional individuals.